CLOSEOUTS. 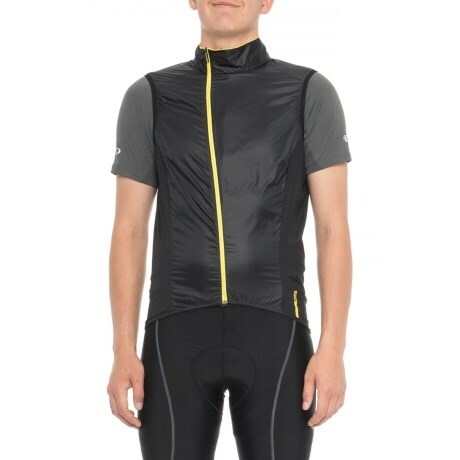 Lightweight, durable and paneled with a mix of three different technical fabrics, this Mavic Cosmic Pro vest is a fully packable, ultralight wind and light-rain vest. Available Colors: BLACK, YELLOW MAVIC. Sizes: XL, L, 2XL, M.